First off, Happy Thanksgiving to all of you! As you may have noticed, Tony has been carrying the weight here at Casas Fumando for the last couple of weeks as things have been crazy busy on my end. But now with a few days off, I decided to dig deep into the humidor and pull out something special this holiday season. 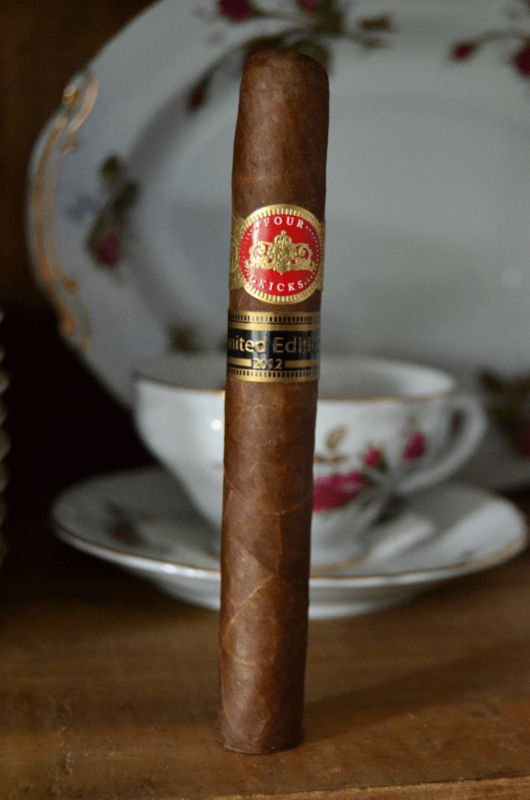 Up for review today is the Crowned Heads Four Kicks Mule Kick Limited Edition 2012 that has four years of age on it. 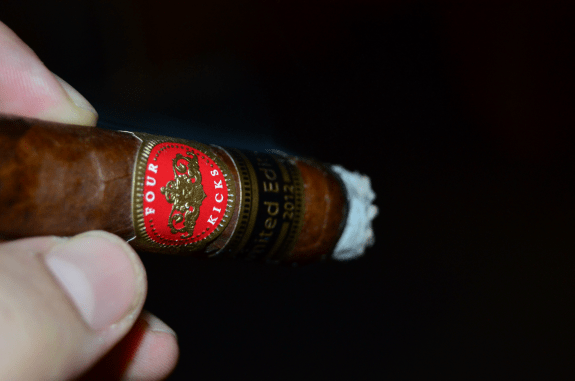 Said to be a spur of the moment decision, the Four Kicks Mule Kick Limited Edition 2012 may be Crowned Heads most sought after cigar to-date. With only 500 10-count boxes produced, it was hard to get your paws on this stick when it was released in 2012. I can only imagine how many or should I say how few remain out there today. 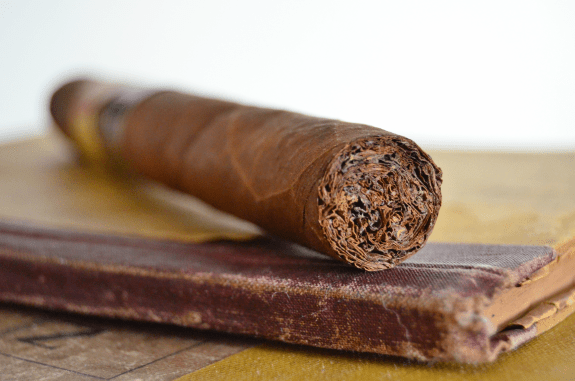 The Mule Kick features an Ecuadorian Habano wrapper that is darker than the wrapper on original Four Kicks line. 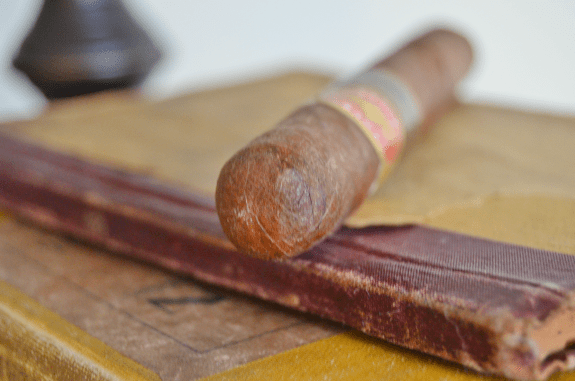 The cigar carries the same Nicaraguan binder and filler tobaccos as the regular line, with some added ligero to add a bit more punch. Produced at E.P. Carrillo’s Tabacalera La Alianza S.A. factory in Santiago, Dominican Republic, the Mule Kick was rolled in a single vitola, a 5 7/8 by 52 Toro. Tony reviewed the Four Kicks Mule Kick in a Quick Draw format back in 2013. You can find the review HERE. The Four Kicks Mule Kick is dressed in a medium brown wrapper that has some thin, light, lifted veins webbing down the leaf and scattered bumps. 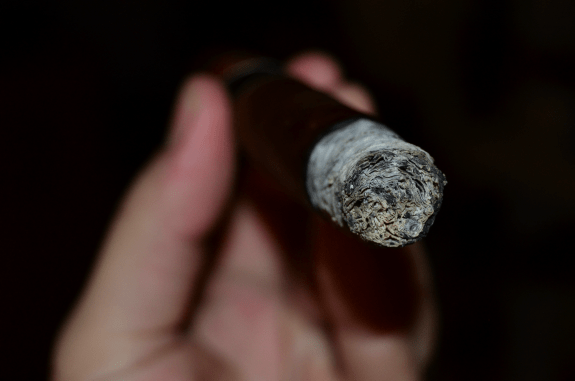 For a cigar that has been resting for four years, there is still a fair amount of oils on the stick that glisten in the light and can easily be felt on my finger tips. Over the last several years of smoking E.P. Carrillo lines and other cigars manufactured by E.P.C, I have noticed that they are not rolled as firm as most cigars I come across. But that is not the case with this one. The Mule Kick is rock solid from head to foot with no soft spot to be found. There is a faint pungency and wet earth aroma on the wrapper. Some soft, sweet woodsy notes are found on the foot of the cigar with just a hint of spice. A cut through the cap opens up a draw with a hair more resistance than preferred. The cold draw is rich with notes of cedar, a fruitiness, and chili powder. Once lit, there is absolutely no problem with the draw. Each small pull brings forth a mouthfull of smoke. The flavors are rather mild with flavors of campfire, earth, and a black pepper spice. A black coffee flavors shows up on the finish, but quickly dissipates. While the intensity of the flavors have clearly calmed, the flavors are balanced. The burn is nearly perfect as a light gray ash is formed holding to three fourths of an inch. Moving into the second third of the Four Kicks Mule Kick by Crowned Heads, the flavors have stepped up a notch. A sweet wood, brown cigar, and dark fruit hit the front of my palate, followed by the earlier flavors of campfire, earth, and spice. The coffee lingers on my palate now for some time as palate feels somewhat dry. The retro-hale is a must for this well aged stick. The main profile is rather tame, but as the smoke is moved through my sinuses, it brings out a great depth in the flavors. Once again, the flavors shift up bringing the Mule Kick to a solid medium. The profile is now rich as a toasted bread arrives. The earth flavor has a leg up on the other flavors and is now more diesel-like. As I close out this hard to find stick, a cocoa is now on the finish and a new citrus quality is adding in a little edge to the cigar. My good friend Anthony Cantelmo of FTB Cigars stumbled across a couple of boxes of the Mule Kick in May 2013 during his travels in Kansas. And man, am I glad he reached out to me to see if I would be interested. The Four Kicks Mule Kick Limited Edition 2012 has certainly evolved since I cracked open the box in the summer of 2013. Opening with a light first third, the cigar gradually progressed to a solid medium flavored cigar that was balanced and satisfying. The retro-hale is a must and, even with its age, the Nicaraguan internals shined as a pepper spice held through the entire cigar. The performance was perfect as the cigar produced a copious amount of smoke, burned evenly, and formed a pleasant looking ash. With five sticks left, I hope to stretch the last half of the box out for the next handful of years. 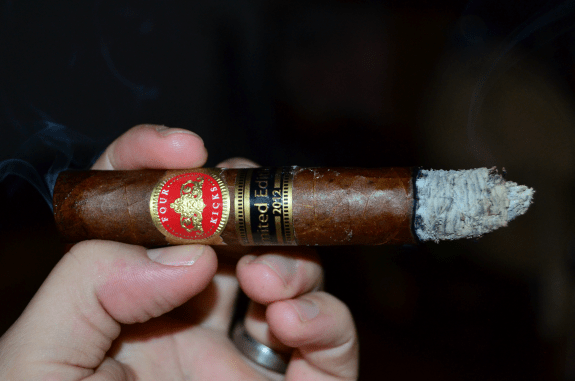 Heck, if Casas Fumando is still around in five or so years maybe I will even do another review!